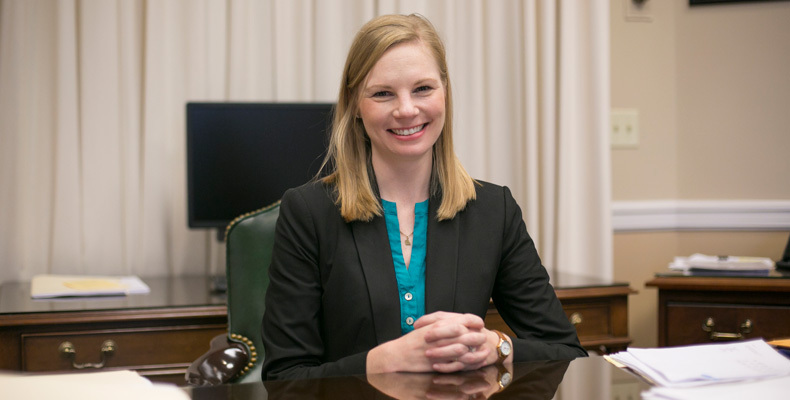 For current Missouri State Auditor Nicole Galloway, Rolla holds a special place not just on her bookshelf, but also in her memory. Galloway earned bachelor’s degrees in economics and applied mathematics from Missouri S&T in 2004. Last spring, when Gov. Jay Nixon appointed her as state auditor, Galloway became the first S&T graduate to hold executive office in the state of Missouri.